It’s that time of year again! Fall (and flu season) are just around the corner, and the kids are filling up their backpacks and getting their first day of school clothes ready. 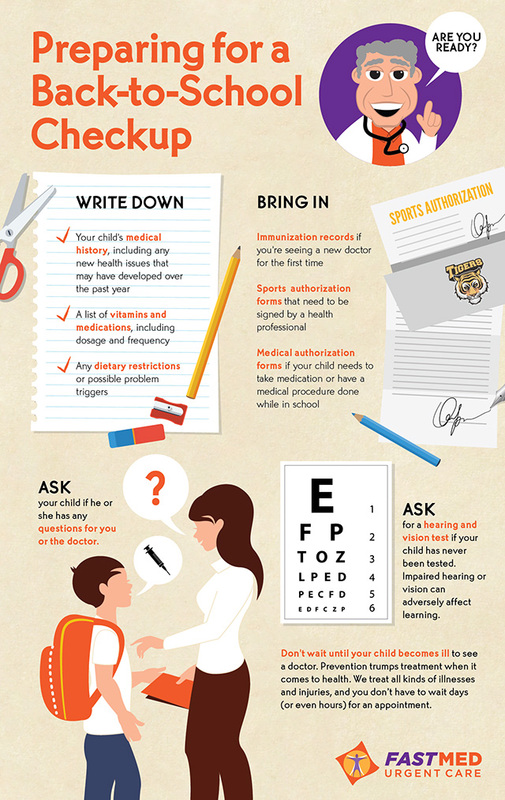 The start of school is the perfect time for your child’s annual checkup. What do you need to bring to your appointment? Check out FastMed’s infographic for all the details on how to prepare!